Microsoft announced that it will no longer offer new features for Office 2013 by the end of the month. So if companies want continued support from Microsoft, they’ll have to upgrade to the new version, and they’ll have to do it soon. Here’s a quick rundown about the tech giant’s announcement and what it could mean for your business. 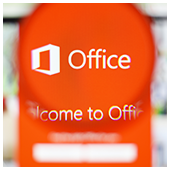 Effective February 28, Office 2013 client applications and language packs will no longer be available from the Office 365 self-service portal and Admin Center. On top of that, Microsoft will no longer release feature updates for Office 2013 and will focus solely on upgrading the recent 2016 version. And because Office 2016 doesn’t support Microsoft Exchange Servers 2007 or earlier, you’ll need to upgrade your mail server as well. The end-of-support changes apply to Office 365 Pro Plus, Small Business Premium, Business, Project Pro, and Visio Pro subscriptions. Although critical security updates for 2013 products extend to April 10, 2018, businesses should really consider making the move to Office 2016 to take advantage of the latest productivity features. With Office 2016 versions of Word, Excel, and PowerPoint, users can look up web information right from the document interface. What’s more, employees have access to advanced, collaborative features like Skype integrations, Office 365 Planner, and Delve. To make the transition process smoother, Microsoft is offering FastTrack migration, a service providing organizations with the tools to help them make the move from one Office version to another. However, if you need more advice on moving to Office 2016, contact us today. We’ll make sure your Office 365 is always up-to-date.